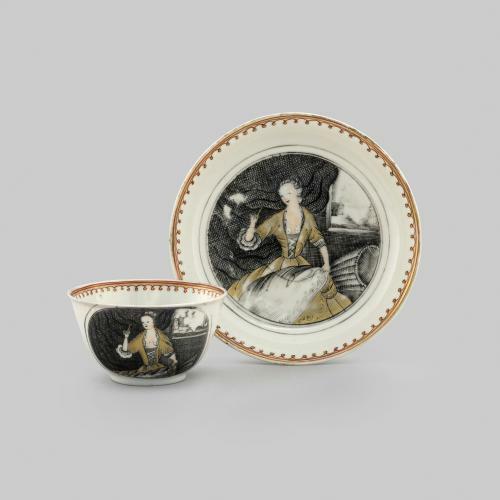 This porcelain tea bowl and saucer are decorated en grisaille, a style of monochromatic painting in shades of grey used especially for the representation of relief sculpture or for preparatory underpainting. 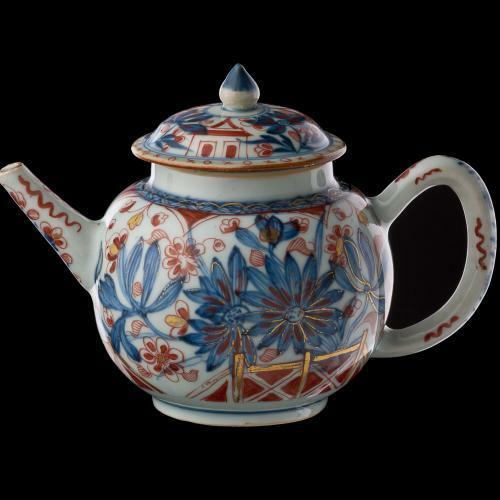 A technique used in Europe since the 12th century, it was adopted by Chinese ceramic painters from around 1730 who began to produce porcelain decorated with black line scenes. This style later developed to include iron red enamel and gilding, which can be seen on this example. To appeal to Western taste, Chinese porcelain painters copied European engravings and copper plate prints that often depicted mythological or classical scenes. This scene, which depicts a seamstress at work, derives from a small ornament print by Bernard Picart (1673-1733) which was published around 1710. 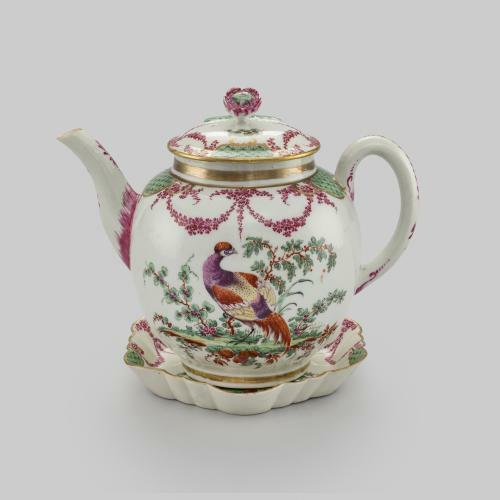 Picart was an important Huguenot engraver who moved to Amsterdam, and many of his engravings are reproduced on Chinese export porcelain.